Schalke 04 hope to prevent a third straight defeat in the Bundesliga when they face Bayer Leverkusen at the Veltins Arena. Losses to Bayern Munich and Hoffenheim have derailed Schalke’s run in the league where they are currently seventh in the standings with nine points after six matches. Those successive setbacks came on the heels of two wins in succession over visiting Stuttgart and at Werder Bremen. Against Bayer though, manager Domenico Tedesco is keeping an optimistic look and will goad his men to nail all the three points in front of their home fans. They lost to Bayern 3-0 and Hoffenheim 2-0, but Tedesco believes they can finally break that hoodoo of not scoring a goal twice in a row. Bayer Leverkusen, meanwhile, will stride onto enemy den in bullish spirit after they won at home 3-0 over Hamburger SV in their last game. 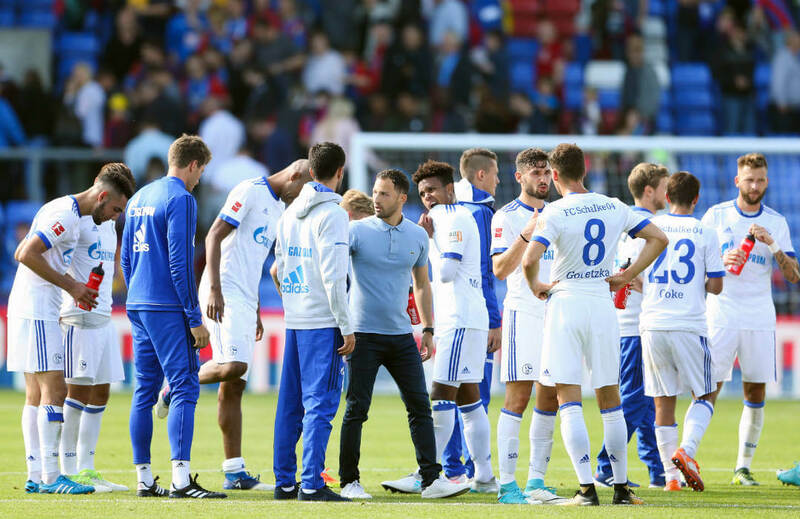 Manager Heiko Herrlich wants to keep up their tempo against the hosts whose last home win came at the expense of Stuttgart 3-0 last September 11. Bayer Leverkusen saw their last two away matches – against Mainz 05 and Hertha BSC – both end in draws. The last time Schalke hosted Bayer, the visitors won 1-0 courtesy of Stefan Kiessling’s 89th-minute goal. Herrlich and his side will be contented with the fact that all of their three wins in their last five Bundesliga encounters with Schalke were won while away. Bayer Leverkusen are at present 10th in the table and would definitely gun for a win that would catapult them past Schalke in the standings. Danger man for Bayer Leverkusen is forward Kevin Volland, while for the hosts, expect playmaker Nabil Bentaleb to provide inspiration. For this match, a Schalke win pays 2.45, while a Bayer Leverkusen win pays 2.83. A draw pays 3.25. If the visitors score another 1-0 win, it is worth 10.00.